Switch to HomeSecure today and we may be able to take over your existing monitored house alarm system. If you want to keep your existing Eircom Phonewatch alarm, you can keep the system and we'll take over the monitoring of your alarm system. We will always aim save you money on your monthly monitoring costs, not only that we lock in our price for three years. Switch your monitoring is very much like switching your electricity provider, you can keep your existing alarm system and the switch only takes a moment. Don’t delay, start saving today. 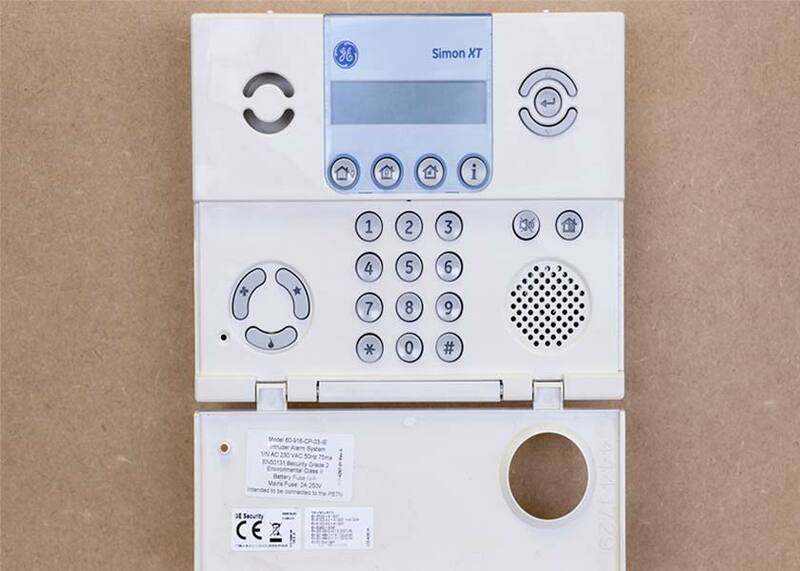 Check the alarm panel images below to see if you have one of these older Eircom Phonewatch alarms. If you do, we can take over the monitoring, saving you up to €120 annually. You may also be eligible for an alarm panel upgrade. This means you can trade in your existing alarm for our state-of-the-art ZeroWire panel, which comes with the highest possible European safety rating, so you know you’ll be in safe hands. If you have a Simon 3 or Simon XT panel, you can trade-in the panel and get a brand new ZeroWire™ alarm (image below) from €99! The €99 panel upgrades are open to both to HomeSecure and non-HomeSecure customers. Don’t see your Phonewatch alarm or do you have another alarm panel? You can still avail of our alarm trade-in offer.